There has been a rebirth in the IP telephony (IPT) market. And now IT architects are trying to find ways to expand enterprise telephony to the desktop and to mobile devices, and one of these ways is to combine IPT with unified communications (UC) for a seamless user experience. 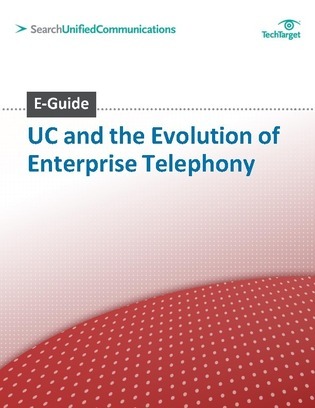 This expert E-Guide will help readers understand key information about the evolution of enterprise technology, how to prepare the enterprise for mobile telephony, and the value of combing IPT and UC.